Partners in Mission USA is a 501(c)(3) charity that raises financial support for the Kamwenge Secondary and Vocational School and Good Shepherd Kindergarten and Primary School in Kamwenge Uganda. Kamwenge District is home to refugees returning from countries that they fled in the 1970s during the reign of dictator Idi Amin. Our schools provide a promise of future success both financially and culturally. While most parents are subsistence farmers their children will grow up to be successful in a wide variety of careers. With our faithful US partners, our funding builds classrooms and dorms, purchases equipment, pays teachers and staff, feed students and pay operating costs. Good Shepherd Kindergarten (GSK) was opened in 2010. It serves as the primary education school for the lower grade levels equivalent to our Elementary Education in the US. Students learn to read and write and are giving the opportunity to learn the fundamentals as they are prepared for more advanced studies. This is done in a disciplined environment led by well-trained teachers. This type of learning environment is not available in the Ugandan public schools. Children need to learn these fundamentals so they can move on to more advanced topics. Today, KSVS graduates are attending or have completed University around Uganda, some returning as teachers at KSVS and GSK. Many others have gone onto vocational degrees and are starting their own businesses. Most stay in Kamwenge District advancing the community. Our reputation as an excellent Christian school is well known throughout the district of Kamwenge and the entire country of Uganda. 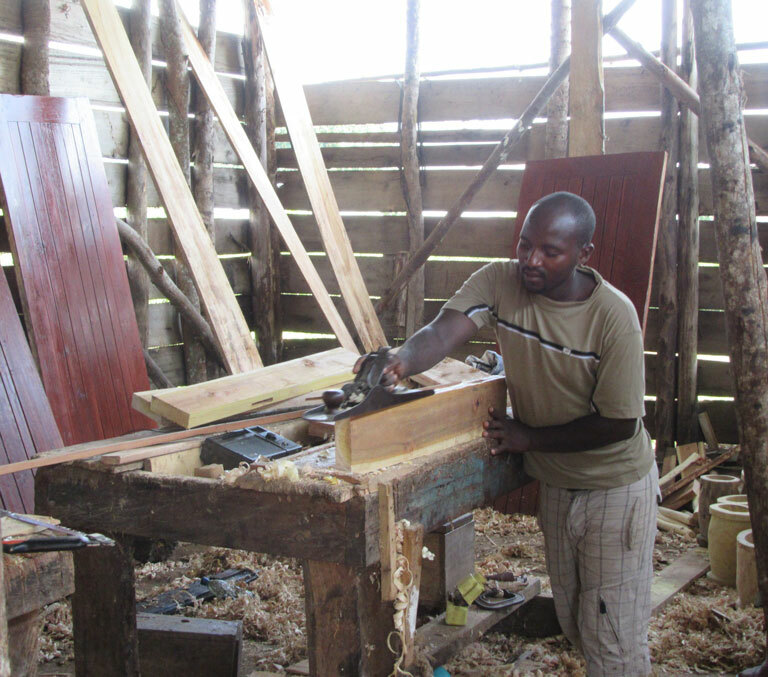 Vocational education has been a component of education at KSVS since it opened in 2007. Carpentry, brick-making/masonry, and sewing/knitting were the first classes taught. The vocational sector has grown to include culinary/hospitality and agriculture. Kamwenge District is positioned to develop, with newly paved roads and electricity. KSVS is providing a young generation with vocational skills to take part in this development. Small brick houses with tin roofs built by KSVS graduates are starting to pop up along roads in place of mud houses with straw roofs. Sewing and knitting students learn employable skills by making uniforms and sweaters for KSVS students. Catering students make and sell bread to the community. Families are now raising chickens and goats supplied by the KSVS agriculture project. KSVS and GSK are the vision of Rev. Canon John Mulindabigwi. His leadership, implementation and ongoing administration of Partners in Mission Uganda has built a campus that focuses on educational excellence provided to the poorest of the poor in Uganda. Partners in Mission USA provides the financial support to purchase, build, employ and maintain this center of educational excellence. Our financial supporters include individuals, churches, corporations, trusts, small groups and schools. They support students, support teachers, buy land, buy equipment, build classrooms and send graduates to universities across Uganda. Emmanuel and Frank lived with their extended family on property adjacent to the school. Their family is dysfunctional and very poor subsistence farmers. Their tuition to attend Good Shepherd Kindergarten and Primary School is paid by a US Sponsor family. 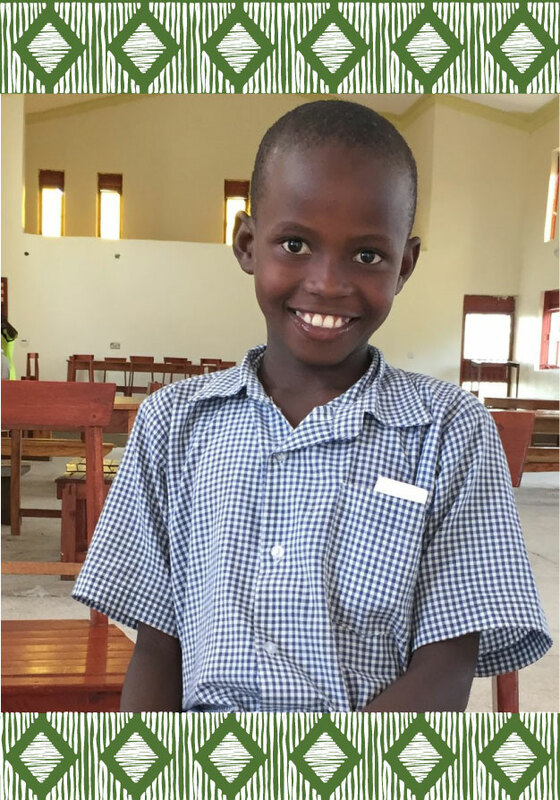 While Emmanuel’s sponsor was visiting the school she noticed his clothing was in rags. She inquired about his welfare and learned his mother had recently been arrested for setting fire to a relative’s house. The sponsors agreed to give additional support so the boys could live on campus year-round for their safety, and provide for the purchase of new clothing as they grow.